The shameful reports that out of the five South East states of Abia, Anambra, Ebonyi, Enugu and Imo, the state with the least revenue collected at the end of each month in Imo, have continued to reverberate the air waves. The big question is, “how can Imo, an oil producing state, with oil companies, various industries, international markets and mega petrol filling stations and choice hotels, be credited least in Internally Generated Revenue (IGR). 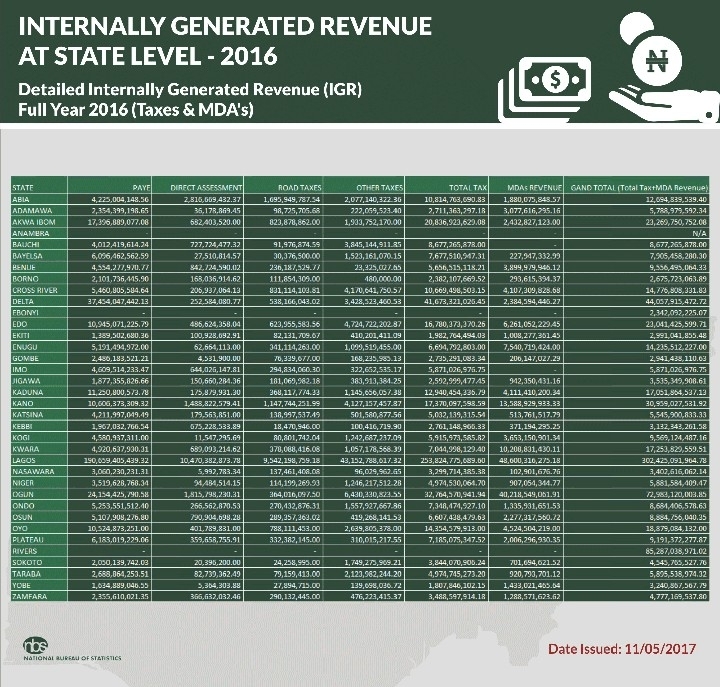 To add salt to the injuries and provocative reports, Ebonyi state which has the least capacity to generate internal revenue, and which has the least number of local government areas at a time where Imo state has the greatest number of 27 LGAs is credited with generating more internal revenue than Imo state. A breakdown as adduced by a concerned politician and financial expert, Okey Ezeh will suffice here. According to Ezeh, who is the Chairman of the Okechukwu Theodore Ezeh Foundation, “some quick IGR figures will put things in their right and proper perspective”, if only to show that those charged with generating and recording the Internally Generated Revenues (IGR) in Imo state are merely diverting such funds to private pockets, thus, Lagos; N43 billion monthly, Anambra N1.2 billion; Abia N1.12 billion, Ebonyi N919.37 million and Enugu N1.51 billion monthly, whereas the almighty Imo state which ought to be more economically viable as an oil producing state with the highest number of LGAs, a brewery plant, Orlu International market, a Timber and Industrial market at Naze and a Federal Secretariat Complex at Owerri, unlike Abia, Anambra and Ebonyi can only boast of N456 million monthly. This Ezeh said is ridiculous, unacceptable, dubious and untenable. According to Okey Theodore Ezeh, this claim is not only fraudulent, it is disgraceful and accordingly jeopardizes the chances of creating another state out of Imo state which is now portrayed by the Rescue Mission Agenda of Owelle Rochas Okorocha, as “economically unviable, and politically ungovernable”. He does not see why Imo state IGR will reduce drastically during Okorocha’s regime. However keen political observer are of the opinion that the N456 million claimed by Governor Okorocha as monthly Internally Generated Revenue (IGR), is deceitful, doubtful, and suspicious when it is realized that the immediate past commissioner, and SA on Internal Resources, Dr. Orikeze Ajumbe had posted as much as N600 million (excluding LGA revenue) N900 million as monthly IGR while he was in the saddle few months ago, and was removed for exposing the fraud. They therefore accused the present Chairman of Imo Board of Internal Revenue as totally responsible for the placement of Imo as no 25 among the least IGR states in the federation where Imo state now competes for spaces with desert states like Jigawa, Taraba and Zamfara. Imo state at a glance owes the highest debts to the tune of N120 billion following alleged conspiracy by past LGA T.C Chairmen and members, to approve a consolidated bank loan for Okorocha using council fund as collateral, thus jeopardizing all development in the rural areas and leaving them in comatose. To further prove that the Pastor turned tax collector, Mrs. Henrietta Rajis Jacobs, as Chairperson of the state Board of Internal Revenue is economic with the truth and allegedly dubious in recording the Internally Generated Revenue (IGR) in Imo state, financial experts have accused her of interfering with council internal resources. Contrary to constitutional provisions on the collection of market tolls, Henrietta Jacob now takes charge of all internal resources from local markets owned by communities, guest houses and food vendors or alcoholic beverages/liquor. It was her greedy attributes for self enrichment as alleged that informed her recent recruitment of revenue officers from outside the civil and local government service commissions, who do her bidding by allegedly diverting government revenues to private pockets instead of the states consolidated government account, domiciled in a number of banks. To entrench her strangle-hold on the internal resources, Mrs. Henrietta Rajis Jacobs had a protracted battle with the Ministry’s Permanent Secretary, Charles Osigwelem. In the milieu, armed bandits apparently acting on the orders of the power that be, recently invaded the office of the former Commissioner, Ifeanyi Araraume (Jnr) and carted away all official files and plasma televisions to make it look like armed robbery incident. Charles Osigwelem was also accused of obstinately refusing to endorse some doubtful documents relating to the accounts of the Ministry of Internal Resources, part of which authorizes the BIR Chairperson, Henrietta Rajis Jacobs to be a signatory to the accounts which are exclusive reserve of career civil servants not gate crashers, like her. Sources at the Ministry had then revealed that following the refusal of the Permanent Secretary, to endorse the vital, relevant and sensitive documents for Henrietta Jacobs fun, he was suspended from duties and a junior official of the lower cadre coerced into signing off the approval letter for Henrietta to be a signatory to the government account, with a provision to single handedly order cash withdrawal at will. Since hijacking the functions meant for the Director of Accounts, Mrs. Henrietta Rajis Jacobs has solely run the BIR with the Internally Generated Revenue of Imo state considerably dwindling while at the same time, increasing multiple taxation and market and private schools taxes increases. However, ashamed that Okey Theodore Ezeh has considerably exposed the nefarious manipulations of Imo internal revenues, Mrs. Henrietta Jacobs has since then embarked on window dressing to deceive Imolites, that she is serious with revenue generation, even when it is obvious the money realized are allegedly going into her pockets and those of the Governor.